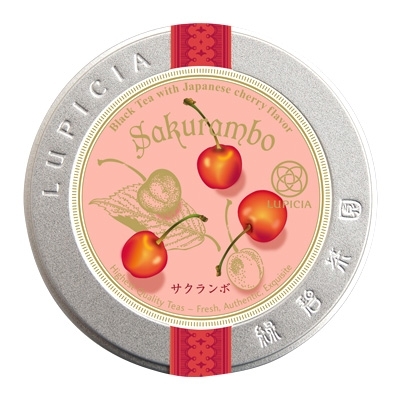 Sakurambo is a lovely black fruity tea that strikes a nice balance between tea and cherry flavors – it’s not overpoweringly sweet but has enough flavor to please – it starts out smooth in the mouth and then unfolds to a delicate fruit flavor. It’s not overly cherry, either – if I didn’t know, I’d probably be hard-pressed to identify what kind of fruit was in this, and would probably go with peach or something lighter than cherries (which one always worries will taste like licorice or cough syrup). It also smells gorgeous – I inhale before each sip just to let that scent waft up. This would probably make an excellent iced tea and I plan to try just that soon. I won’t buy a bag of this quite yet, as it doesn’t displace my very favorite cherry green tea from a local teahouse, but I will make a note of it for potential purchase in the future. A good tea for summer.